The following post was inspired by my dude Lee Badman (aka @wirednot, aka Beef Wellington). He is a very talented writer and WLAN professional among other things. If you don’t currently follow him on Twitter or read his work, I highly recommend following him and checking out his blog. His contribution to the wireless community is invaluable but one of his greatest contributions is his daily #WIFIQ. Search out the hashtag everyday and join the conversation. #WIFIQ 4/1/16 How often do u sell, config or use WIPS or the likes of CleanAir, 7signal, NetBeez or other performance overlays or sensors? This particular #WIFIQ stirred my interest differently than what was intended. I have already been familiarized with Cisco CleanAir and 7Signal’s offering but I hadn’t heard of this new “thing” that went by the name NetBeez. I surfed on over to the NetBeez site and read up on their product. What I found was the answer to one of my needs as a Network Engineer. Even better, I had almost everything to get NetBeez running already! If you already own a Raspberry Pi you can have a NetBeez agent running in very short order. The instructions are located here. This will only get you set up to run with your agent connected to Ethernet. As a Wireless Network Engineer I wanted more! I reached out to NetBeez to find out how I could get my agent to do wireless monitoring. Panos Vouzis, one of the co-founders at NetBeez, got back in touch with me a short time later and filled me in with the remaining information that I needed. It turns out that the wireless feature is only available in the paid version. 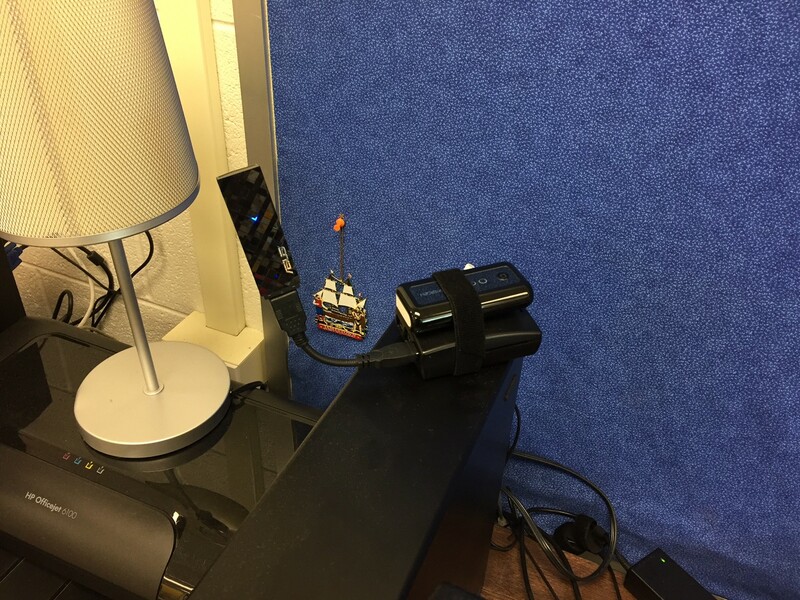 Panos made an image available to me for my Pi and let me know which wifi adapter was needed. The NetBeez agent has only been tested and verified to work with the Asus Dual Band Wireless-N USB adapter (USB-N53). When I purchased the adapter it was $40. For some reason, at the time of this post, Amazon has it for significantly more. While I waited for my USB-N53 to arrive I was able to get the special NetBeez image loaded and running with the help of Panos. Everything was working great already even without the wireless adapter. A few days passed and my adapter finally showed up. The drivers are already built in so the only thing that needed to be done was to add a wireless profile for the wireless networks that my agent would connect to. Now that I had my wireless profiles configured I could verify that my agent was connected to the wifi. As you can see above I was able to obtain an IP address via DHCP and you can see my TX/RX rate and SSID that I am connected to. A little bit further down on the same page gives you more information on your connection. Now comes the good stuff…adding targets! Targets are the actual tests that you want your agent to run. There are limitations to the free version here as well. The free version only grants you access to create three targets. Panos graciously gave me unlimited target creation for my evaluation. I did find out the hard way that you can go overboard with targets. I created over 100 at one point and I could not keep my agent online. I trimmed down my targets to a much more reasonable number and my agent became stable again. Thanks to Stefano Gridelli for helping me with this situation. We were able to quickly determine the problem and get my agent back online. I added a few targets that I deemed important for testing and reporting in my enironment. Configuring actual targets are extremely easy. 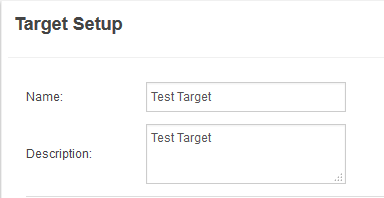 Clicking on the plus sign brings you to a page where you specify what you want your target to do. Once you have given your target a name and added resources you need to assign the target to your agent. You can also specify an email address here so your agent can send an alert if your target reaches a warning or down state. At this point, you are in business! Deploy your agent and start monitoring. After deployment you can actively monitor your agent via the web console and even run reports. I have used my NetBeez agent in several circumstances so far and it has worked great! As I type my Beez is deployed in a spot where we are currently collaborating with other teams in our enterprise to determine the cause of a problem. A huge thanks go out to the NetBeez team, especially Panos and Stefano. They were very accommodating to my requests and ready to help whenever I needed it. If you are in the market for a distributed network monitoring device in a small/portable package, please visit their site and consider their product. NetBeez is easy to carry around and deploys quickly. Mitch, great post! Excellent stuff! Question: where did you obtain the USB flex dongle that attaches to the Raspberry Pi? I have been looking for them everywhere and want to get a bunch for my Wi-Fi toolkit. I do not know what they are called, but if you have a source, great!